Thanks Asslessman, I'm looking forward to getting the rest of the models when the kickstarter gets underway. I've never painted an old Citadel Paladin before. Loving this, I have a soft spot for paladins I have to say and this one is very nice ! 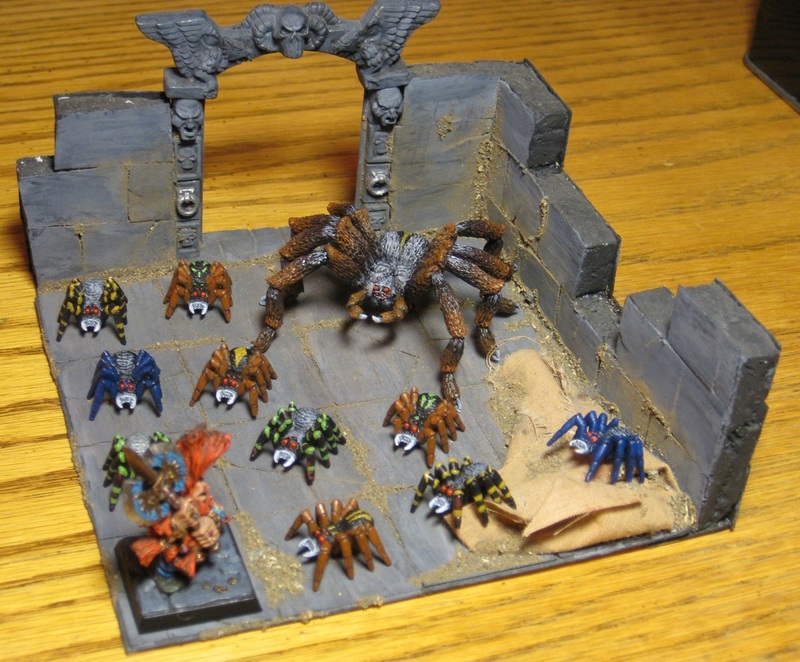 I have bought Warhammer Quest second hand over 15 years ago and I never painted the spiders, leaving the original owner's paint job as is, completly worn out to the plastic! So to get back into painting after such a break, I decided to go simple, and why not finaly paint that giant spider?! Very cool. It's always nice to see the Quest stuff painted up. Good work on that dungeon tile, too! Thanks Matt, Im actually in the process of painting the whole box set to my actual taste... plus a couple of additions for more interesting senarios like that mothe spider. The hardest so far is to find a balance between what I want, and the actual time I have to spend on the project! I have never painted Balgorg the Baalrukh before. Have you? Funny thing is that ten days ago I didn't even know this guy existed. Browsing the 'bay I discovered him in an auction - which I promptly lost - and decided I just HAD to have one. 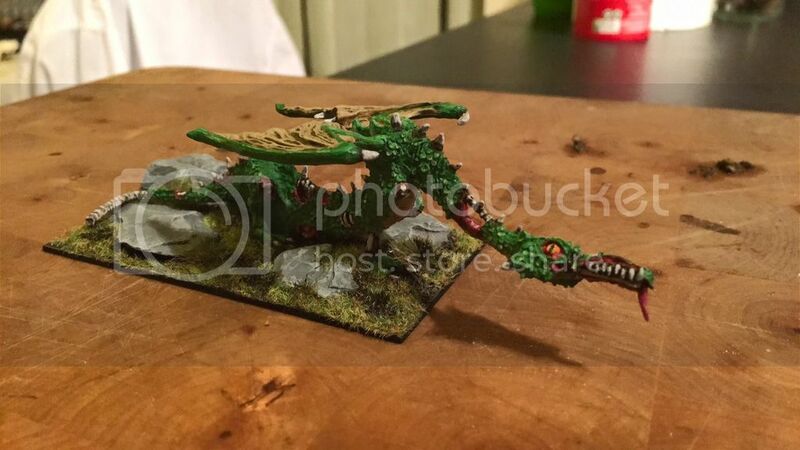 Using the help of the fine folks of the Oldhammer Trading Company, I promptly procured one and as soon as he arrived, I cleaned, assembled and painted him. Not the way things usually are around here! Just the kind of mini 12-year-old me would have been excited about. 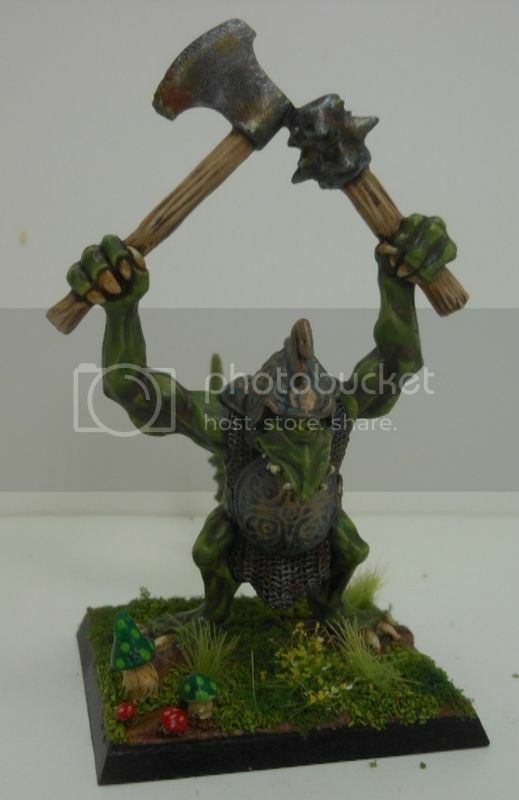 It's all there, the generic badassery, ridiculous power metal pose, oversized weapons... brilliant! Everything that is great about the 80ies. His name really should come with 'röck döts': I call him Balgörg. Even funnier thing is that I have absolutely no current use for him. None of the "projects" I currently should be working on call for an 80ies power metal demon. But then, every mini-based system should give one an opportunity to plunk down a big, bad hero-killer from hell. And now I can. Last edited by Ti Pouchon on Wed Jul 26, 2017 12:52 am, edited 1 time in total. I finally painted it and uploaded this sucker. I've never painted a zombie dragon before. Last edited by antipixi on Sat Feb 13, 2016 4:10 pm, edited 1 time in total.